Based on current plans and study programs, it transforms the teaching and learning processes, creating playful experiences that develop the skills of children and young people. Our propietary teaching model is based on a dynamic and interactive methodology that adapts to each school's educational proposal and allows students to analyze the theoretical aspect and increase the practical part of teaching by encouraging creativity, experimentation and collaborative work. Our offering of modular and scalable packs, is based on the current plan and study programs and can easily be adapted to the reality of the classrooms, guaranteeing the fulfillment of the graduation profile. Learning materials that enrich the teaching-learning process to acquire, more easily, the concepts, abilities and attitudes present in current plans and study programs. Materials that promote interest and motivation for learning, presenting abundant possibilities to manipulate, observe, investigate and discover. • Placing the student at the center of the process, as the protagonist of their own learning. • Considering the previous knowledge and contexts of each student. • Keeping the student motivated to build meaningful and relevant knowledge. • Creating different learning experiences that allow the student to adapt to changing situations. • Easily evaluating each moment of the teaching process. In order to enssure our didactic proposal to be effectively applied in each classroom and to be a real support for the teacher, we offer pedagogical advice that allows you to become familiar with the materials, improve the teaching processes and develop creative and innovative strategies for planning, development and evaluation of learning. Our materials include a guide for the teacher that serves as vital support for the proper development of the educational process and ensures the achievement of key learning using our materials. Package contents and assembly instructions. Indicates what integrated learning, linked to the plan and program of studies, must be achieved by the student. 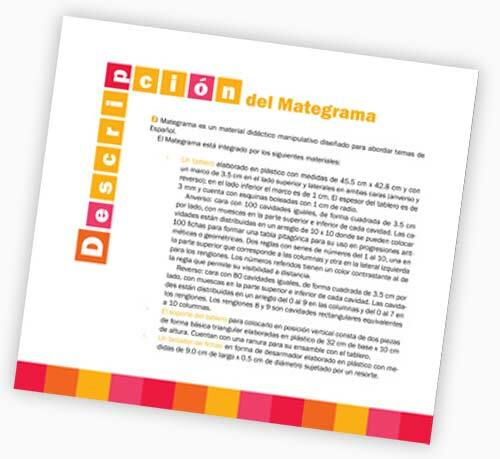 It is a tool that includes basic information about the disciplinary or thematic contents that the teacher must know to work with the material. It includes a useful table that provides the teacher with an overview of the blocks, skills, expected learning and indicators that will be addressed with the use of the material. They are proposals for innovative and interesting activities that give relevance to the use of the material. Each one indicates the expected learning, the competence that is favored and the topic of reflection. The didactic sequence is developed in 3 moments: Start, development and closure. 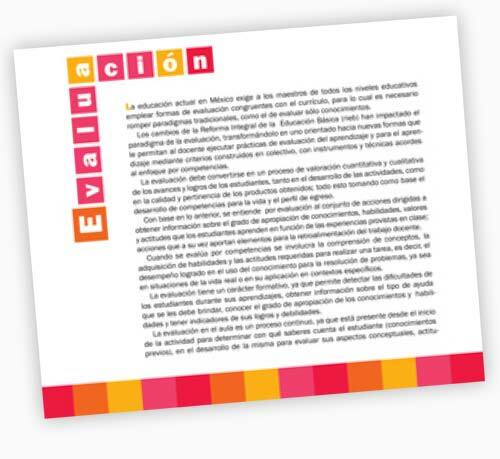 It proposes instruments to evaluate the achievement of the expected learning.